Nuremberg and Erlangen have plenty to offer when it comes to art and culture. There are many museums which are of national and international importance, and a lively music scene with annual world music and rock festivals, open air classical concerts and theatre. There are also numerous events centred around various aspects of culture where you are sure to experience a few surprises and see some unexpected treasures. 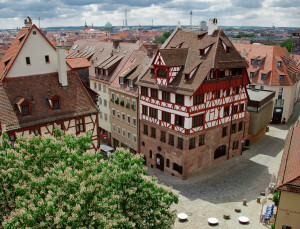 Many of the region’s most important museums are located in Nuremberg. One of the most interesting museums is Albrecht Dürer Haus (Albrecht Dürer’s House) which gives visitors an insight into the life and work of one of Nuremberg’s most famous citizens. Nuremberg is also home to the Germanisches Nationalmuseum (German National Museum), the largest museum of German art and culture, and the Hirsvogelsaal, the most impressive work of renaissance interior design north of the Alps. Many historic works by the city’s artists can be found in public places across the city, from Dürer’s paintings in the Germanisches Nationalmuseum to Veit Stoß’ ‘Angelic Salutation’ in the Lorenzkirche (church of St. Lawrence) or Adam Kraft’s stations of the cross in the city’s St. Johannis district. At the same time, Nuremberg finds the perfect balance between the traditional and the modern, and modern art and contemporary design can be found in the Neues Museum (New Museum), a striking modern building which is flooded with light and creates a stunning contrast to the neighbouring Handwerkerhof (craftsman’s yard) and old city wall. Industrial history is brought to life in the Museum Industriekultur (Museum for Industrial Culture), and the DB Museum showing the history of the German railway company Deutsche Bahn covers everything from the time when the first German railway was laid between Nuremberg and Fürth to the latest generation of high-speed ICE trains and the railways of the future. Nuremberg’s role in the toy-making industry is documented in the Spielzeugmuseum (Toy Museum), while the permanent exhibition at the Castle allows visitors to look back at Nuremberg’s past as an imperial city. The darkest chapter in Nuremberg’s history is remembered at the Documentation Centre Nazi Party Rally Grounds in the permanent exhibition ‘Fascination and Terror’ which deals with the causes, context and consequences of the National Socialist reign of terror. The period which followed is documented in the Memorium Nuremberg Trials in Nuremberg’s Palace of Justice – the place where world history was written between November 1945 and October 1946. Nuremberg’s music scene covers a wide range of genres. The various festivals which take place regularly in Nuremberg include the Internationale Orgelwoche Nürnberg ION (International Organ Week), the largest and oldest festival of church music in Europe, the outdoor festival Rock im Park and the Bardentreffen world music festival, a free weekend-long event which draws over 200,000 music fans each year. The two open air classical concerts by Nuremberg’s philharmonic and symphony orchestras are the largest of their kind in Europe, with more than 100,000 people gathering to enjoy a picnic against a backdrop of classical music in the Luitpoldhain district. 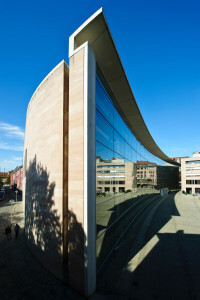 Opera, drama and ballet can be found at Staatstheater Nürnberg (Nuremberg State Theatre), the centre of the city’s theatre scene, as well as many smaller venues. Once every two years, artists from all over the world come to Erlangen, Nuremberg, Fürth and Schwabach to perform in the Internationales Figurentheater-Festival (International Puppet Theatre Festival). 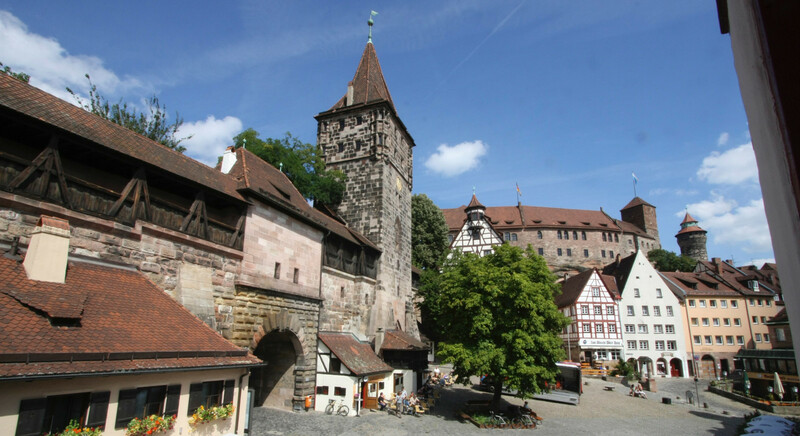 There is also a wide range on offer for children in Nuremberg, with a children’s culture centre with museum and theatre, several other theatres and a range of activities for younger audiences. One of the theatre season’s particular highlights is the annual international theatre festival ‘ARENA… of the young Arts‘, a six-day event which takes place in Erlangen with a huge variety of performance art, dance and physical theatre. The festival encourages students in Erlangen to explore modern forms of theatre and aims to draw more attention to the international free theatre scene. Comödie in Fürth is the place to go in the region if you want to enjoy some comedy. Comödie has become one of the key venues for the genre in the space of just a few years – alongside the hosts Heißmann and Rassau, well-known comedians and cabaret artists take to the stage in the Berolzheimerianum on around 300 days of the year. There are many other events in the region that ensure that there is something to see and do throughout the entire year. The Blue Night in Nuremberg in May is the cultural event of the year, with theatres, museums and other art institutions opening their doors and offering visitors a chance to explore the city’s art and cultural scene. The night casts a spell over the old town and all of Nuremberg becomes a stage, with different forms of art on every corner. Also in May is Nuremberg’s Trempelmarkt, a popular flea market (which also takes place in September) which is the largest of its kind in Germany and a paradise for antique lovers and bargain hunters. A similar event, the Grafflmarkt, takes place in Fürth in June and while it might not be quite as big, it certainly has just as much atmosphere. Around the time of Pentecost, the whole of Franconia looks to Erlangen. The Bergkirchweih – the largest beer festival in Franconia and the nicest in Germany according to some – starts here on the Thursday before Pentecost, a tradition which dates back to 1755. The festival takes place above the cellars where Erlangen’s breweries used to store the beer. Around 15,000 seats under linden, chestnut and oak trees transform part of the Burgberg hill into the largest beer garden in Europe which receives over 1 million visitors during the twelve day Bergkirchweih, known affectionately as ‘der Berch’ by the locals. Another event which is not quite as old but just as much a fixed part of Erlangen’s social calendar is the Schlossgartenfest, the University’s garden party, which traditionally takes place on the last Saturday in June. Against the backdrop of the Erlangen Schloss and the orangery, which dates from the beginning of the 18th century, lit up by thousands of lights and accompanied by a spectacular firework display around the Huguenot fountain, it is one of the largest and most beautiful garden parties in Europe with 6,500 guests. 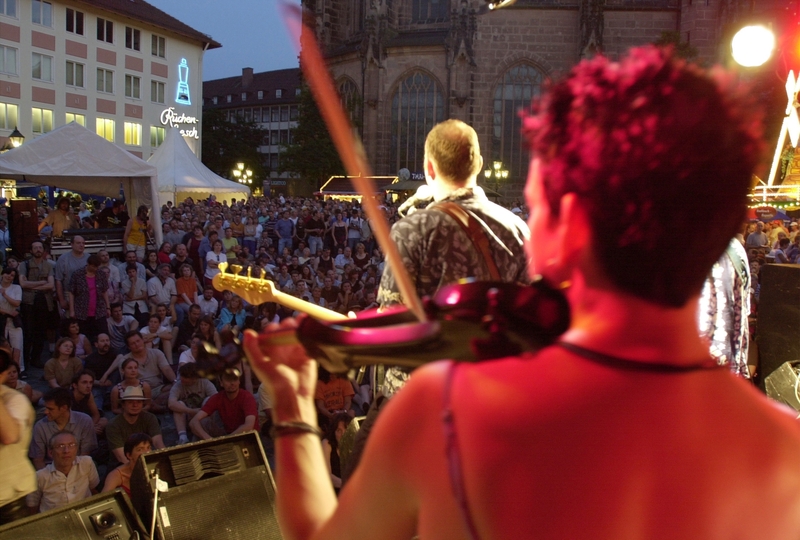 Erlangen is also one of the stages for the annual Fränkischer Sommer music festival which involves many of the towns and districts in Middle Franconia. The programme includes both internationally renowned soloists and ensembles and local artists, with a wide range of genres including classic, jazz, a cappella, cabaret and much more. The volume steadily increases over the course of the summer, not just at the Rock im Park festival but also at the Norisring Rennen race. At the end of June, up to 140,000 motor sports fans gather to watch the world’s best Formula 3 drivers race around the DTM’s only city track in the south-west of Nuremberg. In autumn, when the nights grow longer, the focus turns to science in the cities of Nuremberg, Fürth and Erlangen. Once every two years, the Long Night of Sciences gives visitors a chance to go behind the scenes at some of the larger public and private research institutions in the area. The six higher education institutions in the region, companies involved in research and other institutions which work in scientific fields open their labs and lecture theatres to the public. More than 30,000 visitors make the night the biggest event of its kind in Germany. As Christmas approaches, the stands are opened at the Christkindlmarkt, Nuremberg’s Christmas market. This is almost certainly the most famous event in the region and draws more than two million people to the area each year. The market’s little wooden stands sell traditional, often hand-made Christmas decorations and sweet treats, such as Spekulatius biscuits and gingerbread-like Lebkuchen. There is also a market of the sister cities and there are plenty of activities for children, such as the Children’s Christmas Market, Sternenhaus and lantern procession.